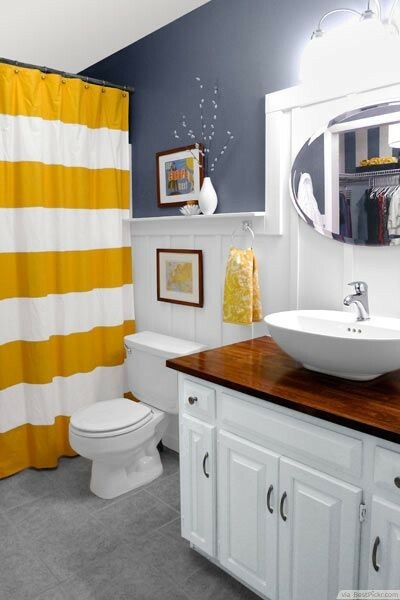 If you're on a budget, consider designing your small bathroom with towels and wooden items. Neutral colors usually permeate a relaxing ambiance. 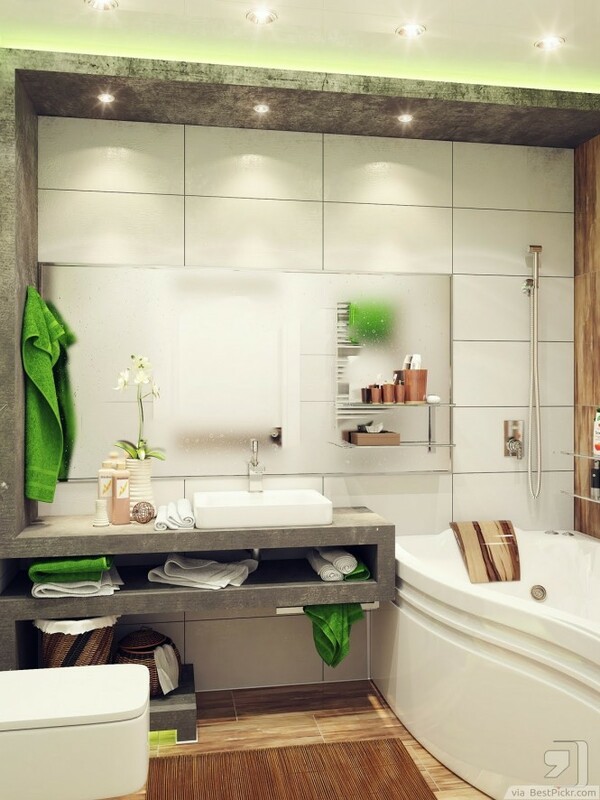 Wood flooring will match a white bathtub and sink, while adding the green towels will make you think of nature. It also helps that this bathroom has a specially-shaped shelf that adds to its overall charm. To complete the earthen feel, add some white flowers. Tiny bathrooms should prioritize functionality before anything else. With this creative idea in mind, why not decorate it with a mini closet? 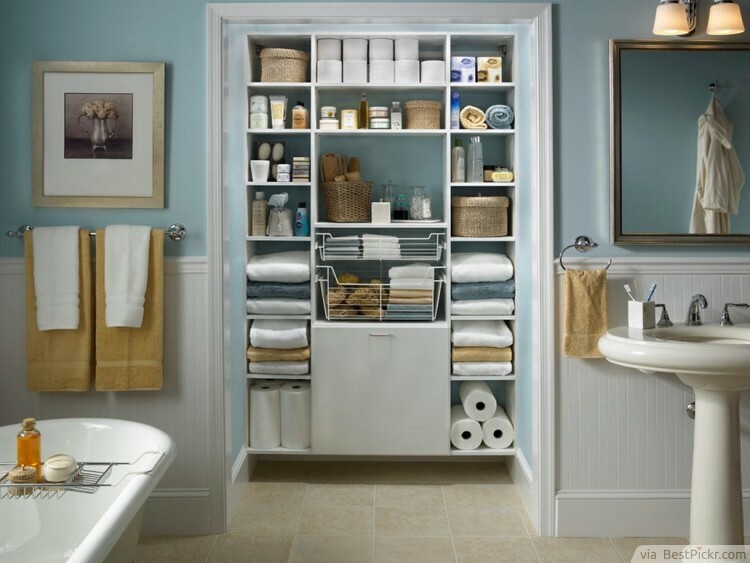 An organized closet or shelf can become an integral part of the bathroom decor. Choose items that you frequently use and arrange them with style. You can also organize them either by color or by shape. 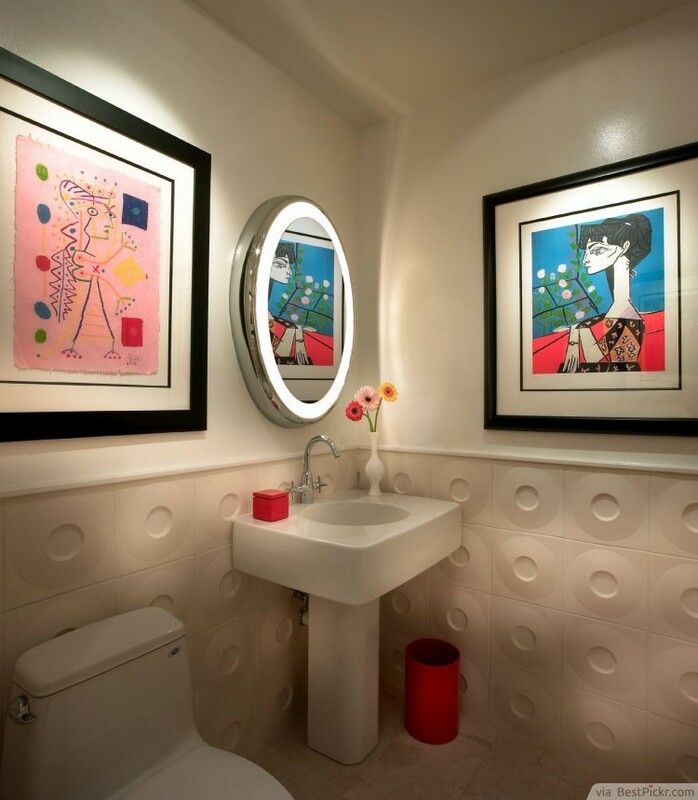 One of the most budget-friendly ways of decorating a small bathroom is to place bold colors and design in the middle of plain white background. 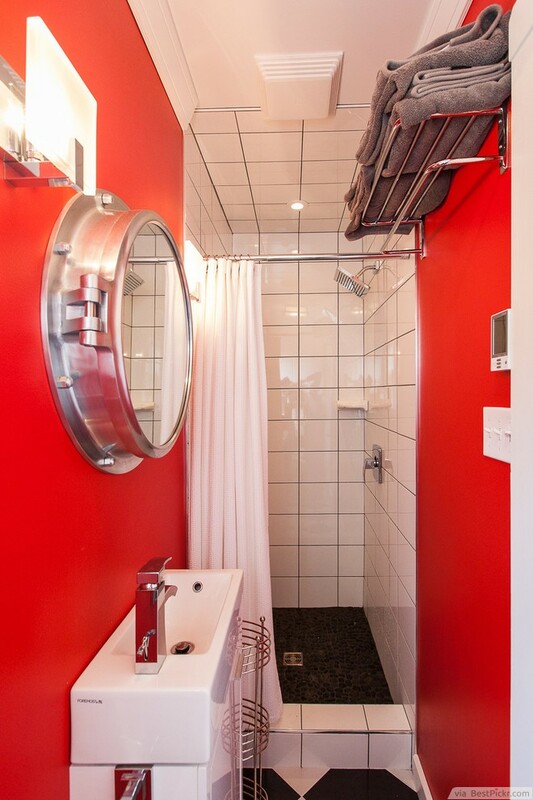 In this tri-colored tiny bathroom, the bold red vanity turns into an instant and effective focal point. The floor will also keep the eyes entertained. 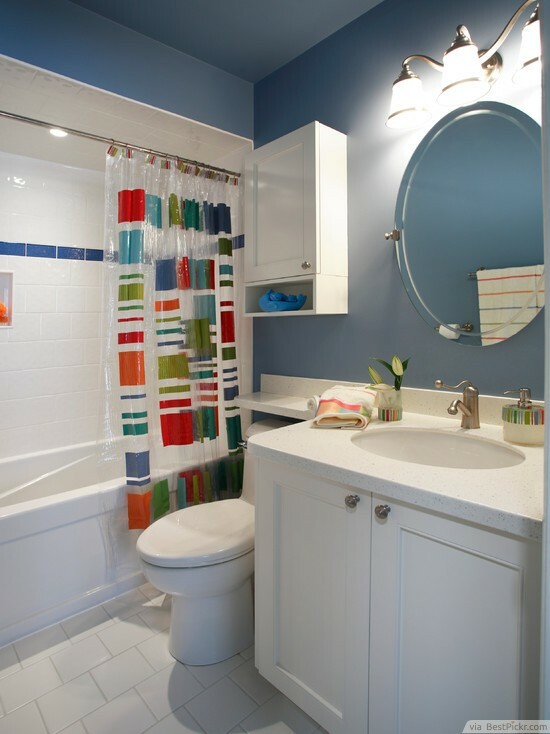 If the walls of your little bathroom is too plain for your liking, why not add color by installing a wainscoting? The wooden panels will also give more dimension and texture to the bathroom. Then, you can proceed with adding touches of ornamentation, wall art, and interestingly patterned shower curtain. Another way of designing a tiny bathroom space is to add interesting items that go with a certain theme. 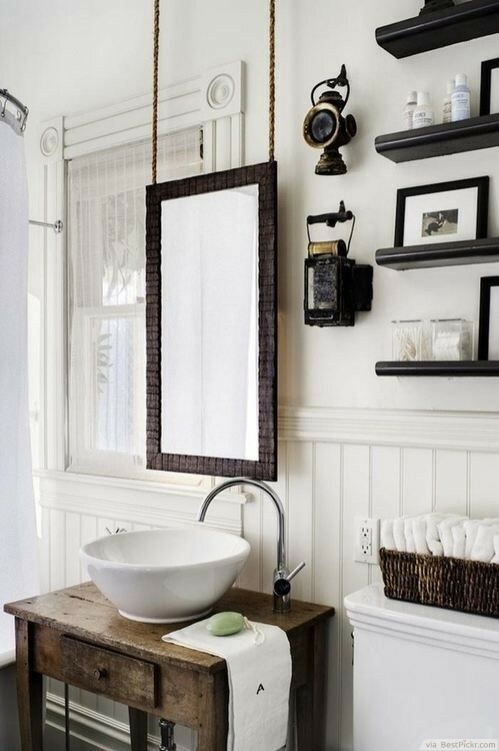 For an instance, this vintage bathroom design already has a rustic hanging mirror-- items like wooden towel rack and antique-looking sink table can add to the traditional ambiance. The bold black frames of the photos also contribute to the rustic theme. To give your bathroom a clean feel, keep it white and simple. Adding dark colors will make the interior sleek and stylish. To avoid clutter, include a smooth-looking cabinet. 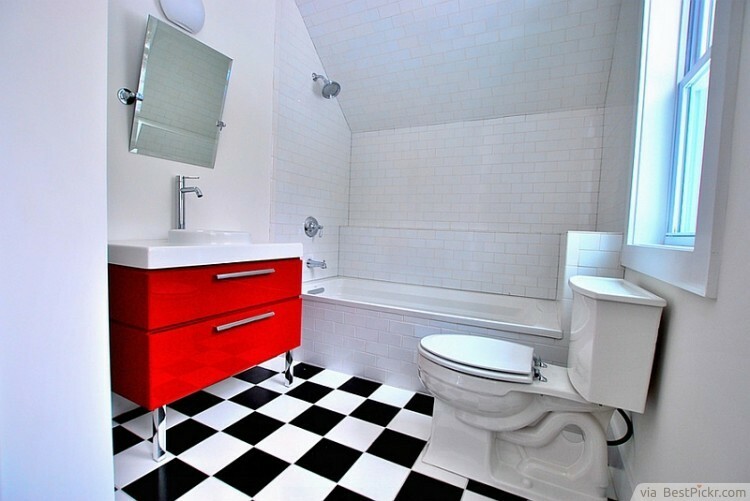 This small bathroom is totally inexpensive in terms of decor because its appeal comes from neatness and color contrast. Another inexpensive way of designing a small bathroom is through the choice of shower curtains. The first step is to look for colors that will match the background. In this bathroom, the curtain goes very well with the light blue walls. And then work your way on selecting small accent items that will suit the overall interior. It can be anything from flowers, towels, or shampoo bottles. If you are fond of colors and you want to be playful and cheery in your design, why not choose wall art pieces that exude fun? The portraits or the paintings that you will use do not have to be expensive. The key is to make sure that they are both colorful and interesting at the same time. 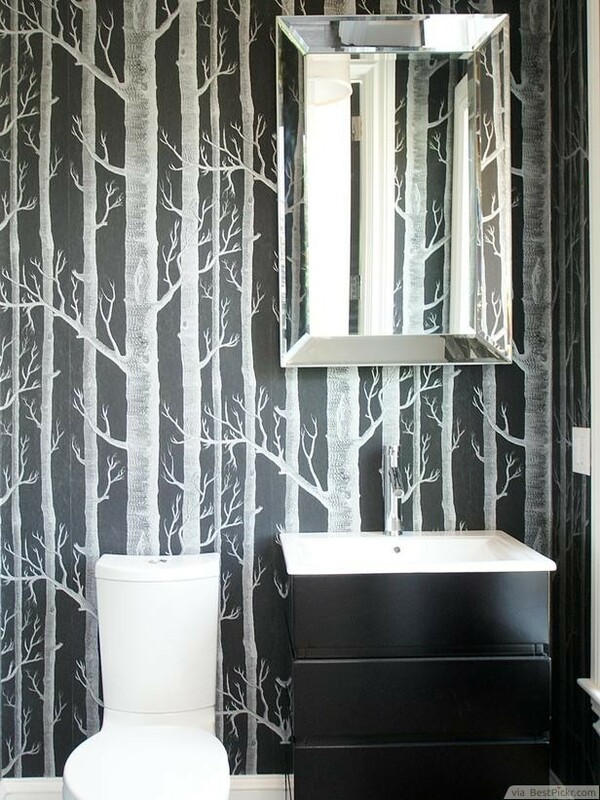 One of the simplest ways to make your bathroom interior design unique is to use a catchy wallpaper. Not only is it easy to apply (you just have to peel it and then stick it), it's also budget friendly idea. Just add several stylish items like a shiny mirror and a sleek sink and your bathroom will be an instant conversation-starter for your guests. 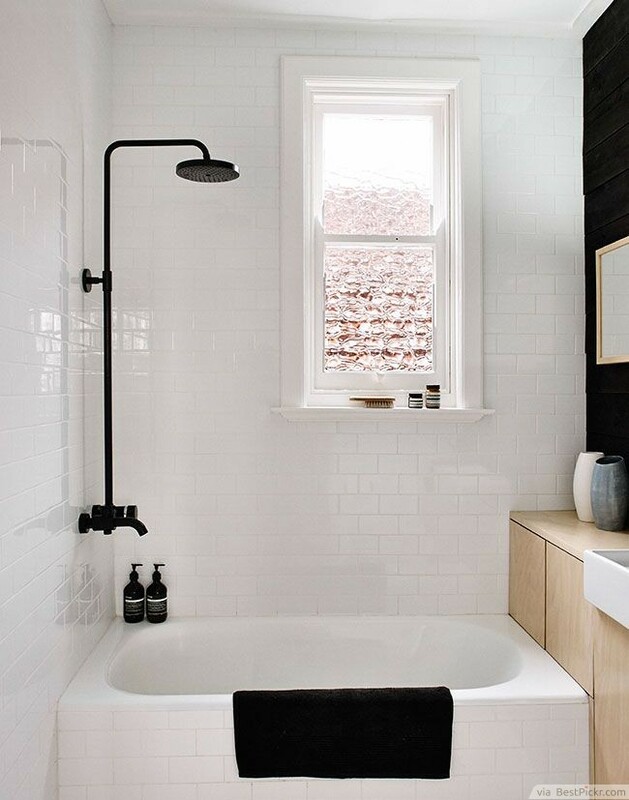 On a final note: color black will look especially good in a bathroom with a lot of natural light.